GREENSBORO, N.C. -- ADT, the leader in security and automation solutions for homes and businesses in North America, has acquired SECURE DESIGNS, a local Greensboro company located at 301 Elm Street in downtown Greensboro. SECURE DESIGNS had become over the course of its 18-year history the country’s fastest growing “MSSP” (Managed Security Service Providers.”) Now operating under the brand ADT Cybersecurity, SECURE DESIGNS will dramatically expand the sophistication and scope of its unique blend of security services, and provide Small Businesses of all types with expertly designed and implemented network protection, Advanced Zero-Day threat protection, SIEM (Security and Event Management), Endpoint Detection and Response (EDR), and immediate data backup and restoration to combat advanced and persistent cyberthreats throughout the immediate and extended network. SECURE DESIGNS’ President and CEO Larry Cecchini will join the ADT team as Vice President and General Manager, ADT Cybersecurity-Small Business. All members of the SECURE DESIGNS Executive team will continue to perform key roles in the new organization. While SECURE DESIGNS has always been a champion for Small Business*, spending on Cybersecurity itself is big business—information security is expected to reach $170 billion, according to a report issued earlier in 2018 by the Better Business Bureau. According to the Small Business Administration, small businesses play a key role in the economy and in the nation’s supply chain, and they are increasingly reliant on information technology to store, process and communicate information. Protecting this information against increasing cyberthreats is critical. 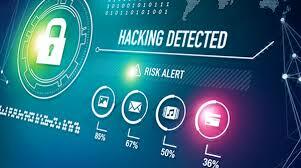 Small businesses have the valuable information cybercriminals seek, including employee and customer data, bank account information and access to the business's finances, and intellectual property. Small employers also provide access to larger networks such as supply chains. While some small employers already have robust cybersecurity practices in place, many small firms lack sufficient resources or personnel to dedicate to cybersecurity. Given their role in the nation’s supply chain and economy, combined with fewer resources than their larger counterparts to secure their information, systems, and networks, small employers are an attractive target for cybercriminals, who have new tools to discover and exploit them. ADT Cybersecurity – Small Business plans to meet this need, on a national scale. The new organization has plans for dramatic growth, offering their services through ADT’s national sales force, and this will spur significant career opportunities, as there is currently a shortage nationwide of cybersecurity professionals, with nearly two-million jobs unfilled due to the lack of candidates. Already embarked on a program to develop local cybersecurity talent before the acquisition, the new impact on the Greensboro business and general community will now be transformational, according to Larry Cecchini, VP and General Manager of ADT Cybersecurity - Small Business.